Sunday, I was having a conversation with friends about the recent collecting of X-Men costumes from DOFP into the Smithsonian. We were contemplating why they would do this even before the movie had been released. The conclusion I came to was that this comic arc is one of the most famous within the X-Men franchise both on film and in the comics, especially. While the decision to put them in this prestigious museum seems a little strange, I think that it makes sense in this way. However, this collecting does not keep me from being a little apprehensive about the upcoming film and wondering what the theater will hold for me as I watch the film Friday. Bryan Singer coming back to direct the film leaves me with hope that he will be kind to the comic book mythos and the dynamic of the team as he aptly showed in X2. The Days of Future Past story arc also makes me hopeful because it is so compelling that it seems like it would be very difficult to mess up. The Magnetos and Xaviers are wonderful all the way around. I love Patrick Stewart, Ian McKellen, James McAvoy, and Michael Fassbender. All are extremely talented and bring it when it comes to these characters. Peter Dinklage gives us the potential for a compelling villain as his acting on Game of Thrones and other movies / television show us. He is great and hopefully will bring something to the character of Trask, instead of being the flat character we have seen in previous movies (yes, Trask has been there but not in a prominent way). Large casts scare the crap out of me. While Singer has been shown to handle expansive amounts of people before, I walk into any large ensemble movie with a hint of skepticism and preparedness. The Wolverine-centric nature that the narrative is seeming to follow. I understand that they have to have a character that can span time as Kitty Pride did in the original (long story about the actual DOFP story arc), but as most of you know, I’ve never been a fan of Wolverine because his character just seems flat to me as far what he is. I find him to be one of the least interesting characters within their world. As such, I always cringe a little when he is the focal character… Although, I do really love Jackman as the character. My final worry is that this will be a setup movie purely for X-Men: Apocalypse. While I have been wanting them to bring Apocalypse into the franchise for a while (and hopefully Mr. Sinister as well because yeah… *fanboy squee here*), I don’t want them to shortchange this story to build toward the next. If they do, I will be sad. 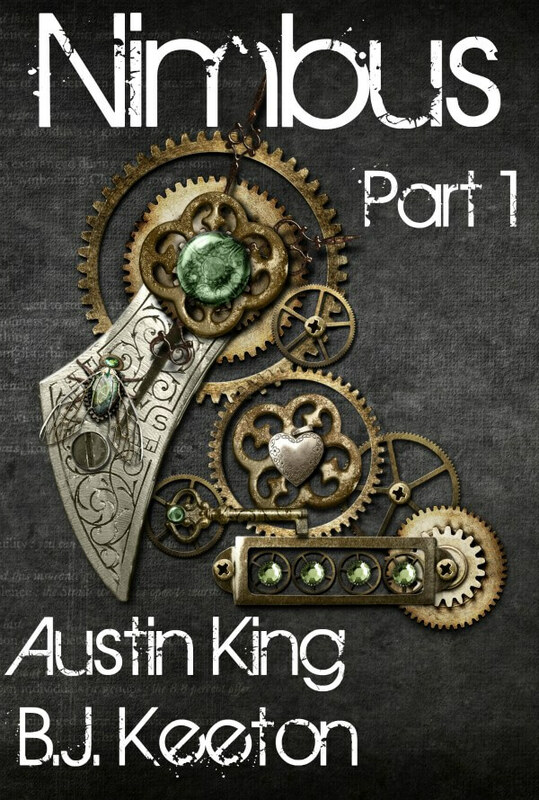 Today’s blogpost comes to us from B. J. Keeton, who writes adamantly on his blog professorbeej.com and continues to work on his fantasy / science fiction and steampunk series. By day, he is a mild-mannered college professor in Tennessee, and at night when the world isn’t watching, he tweets, writes and many other things…which I know a lot of you also do. Now, let’s lend our ears and support as he tells you all a little more about his awesome series that he’s about to publish (with our help of course). So without further ado, Mr. Keeton. As an English major in college, I was taught how to read and appreciate literature. I was taught how to recognize. literary worth–how narrative pacing and structure, character development, and thematic depth all added up to make a text great. As an English teacher, I try to do the same for my students. I want them to be able to get as much from literature as possible. As an author, however, I can’t help but find the idea of so-called literary worth a little overwhelming. In a move totally and completely unlike James Joyce, I did not set out to write something great. I wrote Birthright because I wanted to tell a good story. A fun little sci-fi/fantasy story that people would want to read. And if folks find literary worth in it, all the better! But what I find interesting is that as I’ve done this blog tour to promote the Birthright Kickstarter, I’ve begun noticing a few things I didn’t intend to notice. I started thinking about themes and deeper issues present in the novel, and I have to admit that I surprised myself. I mean, Birthright is genre fiction. There’s no doubt about it. There are laser guns, technomages, fiery swords, hyperspace travel, and ten-thousand-year-old former gods. So why then, in my guest post for BioBreak, did I end the article like this? I want to explore the real-world implications of [humanity playing the roles of gods, and] not just [through] the creation of artificial intelligence like in I, Robot or virtual reality like in Neuromancer, but full-on synthetic universes made of real-as-you-and-me organic matter. I want to explore the question that when the very foundation of your reality is both [natural] and created, is there even a distinction anymore? Genre fiction isn’t supposed to be that heavy, is it? I mean, I didn’t set out to write a SF/F trilogy that dealt with humanity grasping at divinity. Yet I somehow managed to. According to an editor I worked with earlier in the year, though, that’s exactly what good genre fiction does. She said that “SF is at its best when it tilts and expands” the reader’s worldview and understanding. I would add something to that, though. In addition to tilting and expanding, it must also be interesting and engaging. In genre fiction, storytelling is paramount. All the worldview tilting and expanding the writer can muster is for naught if the story is lackluster. And I think that’s where Birthright shines. Because as an author, I put the story first. Now don’t get me wrong, I’m not saying that Birthright is great (though it is pretty darn good, if you ask me), and I’m not saying it will ever be a literary classic. What I am saying, though, is that it’s a prime example of how genre fiction can tell a good, fun story without the overbearing weight of literary worth hanging over its head like the Sword of Damocles. And to me, that’s what makes genre fiction great–not that it must have worth, but that it can. B.J. Keeton is currently running a Kickstarter campaign for Birthright, the first book in The Technomage Archive series. He is is a writer, blogger, and teacher. When he isn’t trying to think of a way to trick Fox into putting Firefly back on the air, he writes science fiction, watches an obscene amount of genre television, and is always on the lookout for new ways to integrate pop culture into the classroom. B.J. lives in a small town in Tennessee with his wife and a neighborhood of stray cats, and he blogs about pop culture, geek media, and awesomeness at www.professorbeej.com. As the title of this post suggests, I am excited about the arrival of “The Hobbit” this December 14th. I’m sure that I will find myself at some midnight showing or other wherein I will be drawn into Peter Jackson’s version of J. R. R. Tolkien’s Middle Earth once again. Although this trailer is only two and a half minutes long, there are a couple of portions that give me goosebumps of excitement as I listen and watch them. I hope you will find similar moments too. From the dwarves’ singing to Gollum asking what a Baggins is, I feel like Jackson is going to do justice with these films much as he did with the LOTR franchise. I anxiously await this movie to see the world of the Hobbits come alive again on the big screen.